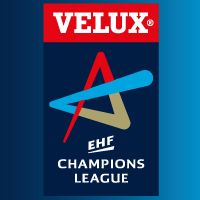 The EHF has received official confirmation from Atletico Madrid (ESP) that the club will not compete in the VELUX EHF Champions League in the 2013/14 season because of the handball section's financial difficulties. Following an evaluation of the situation, and the availabilty of Atletico Madrid's place in Group B of the competition, the EHF has announced that the wild card tournament previously scheduled to take place 30/31 August will not be played. Instead wild card qualification between the teams of HC Metalurg (MKD), Pick Szeged (HUN), Montpellier HB (FRA) and Wisla Plock (POL) will be played in home and away matches in the semi-final pairings previously announced and according to the competition's seedings. The winner of the match Metalurg HC (MKD) versus Pick Szeged (HUN) will advance to Group C and the winner of the match Montpellier HB versus Wisla Plock to Group B. The loser of each match will continue in the Men's EHF Cup, advancing directly to round 3. The additional wild card play-off match between Germany's Füchse Berlin and HSV Hamburg remains unaffected by the change. The two teams will play home and away on 21 August in Berlin and 23 August in Hamburg for one place in Group D.